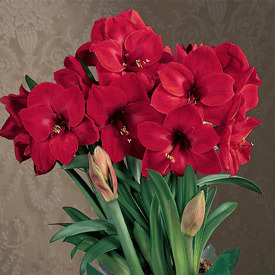 You can't help but think of Christmas when you see these brilliant red flowers atop their bright green stalks. 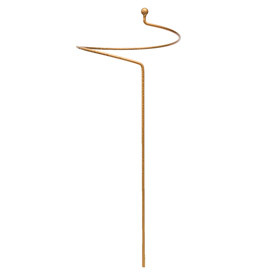 Yellow-tipped stamens offer a pop of contrasting color in the center of each gorgeous bloom. 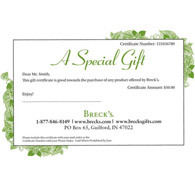 Present one to a neighbor, teacher or friend to enjoy the entire holiday season and beyond. 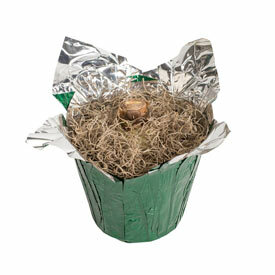 Ships in a 6" nursery pot wrapped in green foil for gift giving throughout the season. 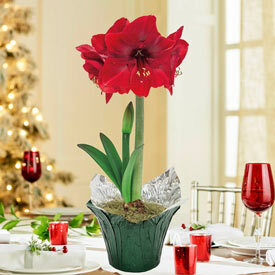 Our new Deluxe Amaryllis Stakes will support even the biggest Breck's blooms and can hold two stems at a time!